We Believe That Our Success Is A Direct Result of Your Success. We believe that our success is a direct result ogf your success. Our company offers a wide range of accounting and tax services to individual and business clients throughtout North Carolina, New York, New Jersey, and Connecticut. Our clients benefit by getting personalized, quality service that is beyond comparison. Click the links below to show lists the services offered to all clients along with a brief description. Note: The lists are not all-inclusive, so please feel free to ask about a service if you do not see it listed. Whether you are in individual taxpayer, own a small business, or have more complex tax needs, we have the experience necessary to handle the job. We use the latest in tax software for the most efficient processing of your tax preparation. Accurate and secure transmission of your tax information to the taxing authorities. Proof of Filing. An acknowledgment is issued when your return is received and accepted. Faster processing of your refunds. Unfortunately, today's tax laws are so complicated that filing a relatively simple return can be a bit confusing. It is very easy to overlook deductions and credits to which you are entitled. Even if you use a basic software program, there's no substitute for the assistance of an experienced tax professional. Your tax return can be filed electronically so you will get a refund back quicker (8 to 15 Calendar days). If you own a small business and haven't kept up your bookkeeping, don't worry. Our firm can prepare your bookkeeping for the year, prepare a full Schedule C, as well as your personal income tax return. We will then help you set up an easy system that allows you to keep your books in great shape for next year. We specialize in startup services for small businesses. Our flexible services can be set-up either on-site or off-site and arranged at times that accommodate your business schedule. Nothing is more valuable to your business than an accurate set of books. 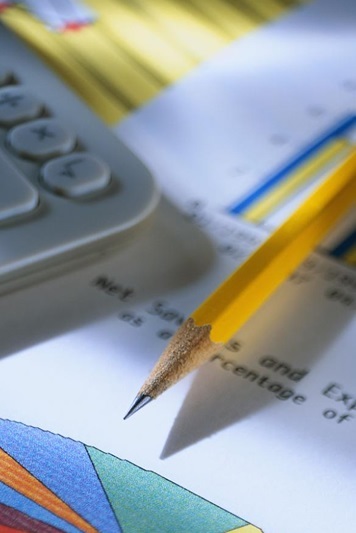 Our comprehensive bookkeeping services allow you to do what you do best…operate your business! We will handle all of your bookkeeping needs from bank reconciliations through payroll at competitive rates. Accurate financial statements will give you the necessary tools to analyze your current business and plan for your future. We can assist with the preparation of monthly, quarterly and annual statements. As a small business owner there are more important things to do than to keep your own books. We take care of your books for you, so you can get back to the job of running your business and generating profits! Reconciling your business checking account each month allow us to keep your bank account, accounting, and payroll taxes up-to-date. An income statement, otherwise known as a profit and loss statement, basically adds an itemized list of all your revenues and subtracts an itemized list of all your expenses to come up with a profit or loss for the period. A balance sheet gives you a snapshot of your business' financial condition at a specific moment in time. The general ledger is the core of your company's financial records. These records constitute the central "books" of your system. Since every transaction flows through the general ledger, a problem with your general ledger throws off all your books. Having us review your general ledger system each month allows us to hunt down any discrepancies such as double billings or any unrecorded payments. Then we'll fix the discrepancies so your books are always accurate and kept accurate. Have some tax questions or want to set up an appointment? Please fill out the form below. 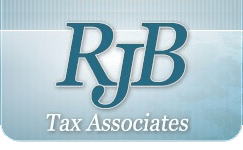 Follow RJB Tax Associates on Facebook!